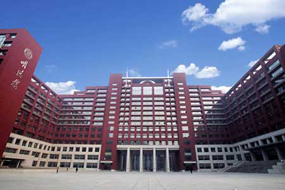 Renmin University of China Business School, founded in 1950, was one of China’s earliest business schools providing MBA education. Not only is it a well-known university in China, but it also enjoys a worldwide reputation of excellence. In recent years, the school has been committed to the development of international exchanges, establishing long-term academic exchange programs with prestigious universities in various countries including USA, UK, France, and Japan. The school also has collaborations with overseas universities for joint programs, including partnership with Hong Kong Polytechnic University for doctoral programs in Business Management and Professional Accounting; collaboration with Jean Moulin University Lyon 3 (France) for master’s program in Sino-France Financial Management; with Euromed Marseille Ecole de Management (France) for International Management Master’s Program; with Tampere University of Technology (Finland) for Master of Industrial Engineering and Management. The university promotes international academic exchanges through such collaborations on joint programs.